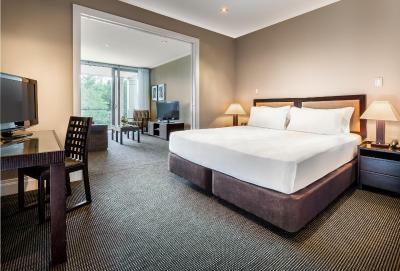 Lock in a great price for Hilton Lake Taupo – rated 8.6 by recent guests! Very lovely hotel. Bed so comfy. I especially liked that Naomi (the asst mgr) showed extra assistance for us because we were with my elderly parents. Would have love to stay extra day if I can. Stay was good. Unfortunately they had an Indian on front desk who you could barely understand at check in. Pretty bad look for a 'luxury" hotel. It wasn't that he was Indian it was that u couldn't understand him. Front desk uniform staff looked scruffy faded shirt &stuck. No coffee in room just instant. Hilton standards have gone down a lot. Used to stay in hotel a lot. But small thinks are making it like a Holliday inn motel. The restaurant was the best part of the hotel, however, the staff we encountered weren't sure of the menu or timely with service. When we had problems with our room they were able to give us another room. Great buffet breakfast, really nice bathroom and room. Great staff in the restaurant. It was quiet, and the smell from nearby geothermal features did not get into our room. Nice big comfy rooms with a verandah and dining table. 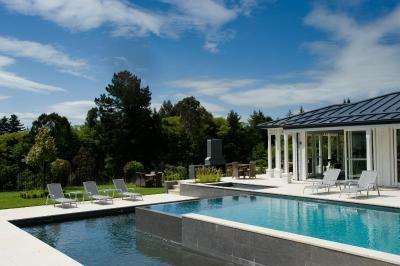 Nice pool on site with a jacuzzi and exercise room. One staff member was awesome and gave great recommendations, and information about the area- Gus ( can’t remember last name) Parking included in lower lot. Very nice location with fantastic view of Lake Taupo, near the beach though you need to drive. Spacious, comfortable and clean 3-room apartment for my family of five, everyone likes it very much and wished could stay longer..... An awarding winning and decent restaurant on ground floor where we have dinner and breakfast, wonderful food with high quality of service. Recommend for everyone! The staff were very friendly and professional. The beds were comfortable also. My husband and I do not get away much, and although just for one night it was very relaxing. We liked how quiet the location was. Hilton Lake Taupo This rating is a reflection of how the property compares to the industry standard when it comes to price, facilities and services available. It's based on a self-evaluation by the property. Use this rating to help choose your stay! 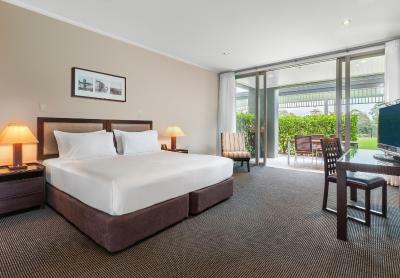 One of our top picks in Taupo.Hilton Lake Taupo includes free pool and gym access and features views over Lake Taupo and is just minutes away from the town center. It is a 15-minute drive from Taupo Airport. 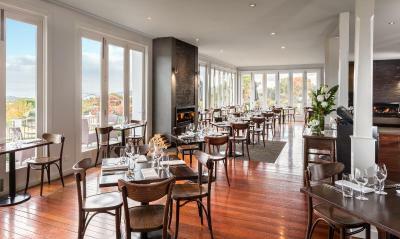 Enjoy a meal at the on-site Bistro Lago Restaurant and indulge in a menu created by chef Gareth Stewart. Relax with a refreshing beverage in the lounge bar. 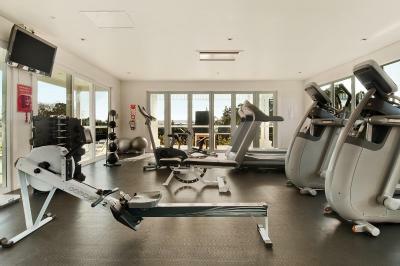 Hilton Lake Taupo features an outdoor thermally heated pool, hot tub and tennis courts with which to enjoy. Spacious rooms feature private balconies with views over the lake or the hotel pool and Thermal Springs. Each includes a LCD TV. Guests can visit the nearby Taupo Motor Sports Park, Kinloch Golf Club or try an exhilarating bungee jump or a trip by helicopter. 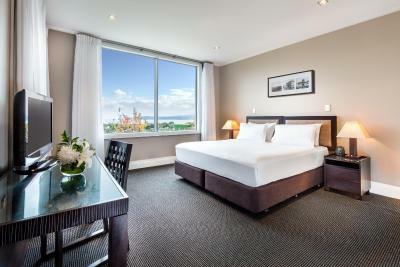 When would you like to stay at Hilton Lake Taupo? This large room includes a 32-inch LCD TV and partial lake views. This air-conditioned room features flat-screen satellite TV, an iPod docking station, a refrigerator and tea and coffee-making facilities. 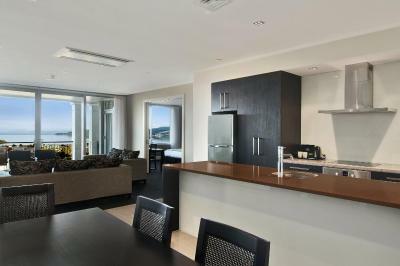 This large apartment features views of Lake Taupo, as well as a full kitchen and a private courtyard. This spacious suite features modern decor, a large work desk and a large walk-in shower. It includes 2 LCD 32-inch TVs. 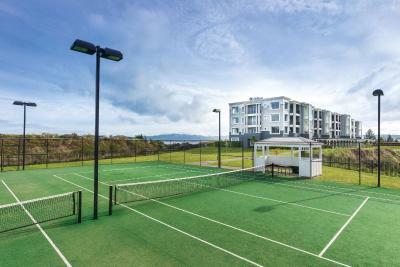 This large self-contained apartment features laundry facilities, a full kitchen and a large terrace with views of Lake Taupo. Includes a 32-inch LCD TV and partial lake views. Includes bathrobes and slippers, a 32-inch LCD TV. 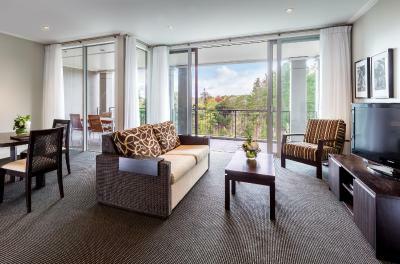 This room includes a spacious sitting area, a balcony, a work desk and a flat-screen TV. Magnificent views over New Zealand’s largest lake with majestic mountains beyond are just the start of what this great hotel has to offer. Hilton Lake Taupo is accessibly located midway between Auckland and Wellington and the only 5 star hotel within the Central North Island. From the romantic Victorian styling of its Heritage Wing to the array of modern facilities in the Mountain Wing, the hotel is a convenient destination for both leisure and business. Our 113 guest rooms, suites and apartments combine style with convenience. Choose from a wide range of accommodation options to suit your requirements, with all the space you need. Whichever you select, you can stay connected with high speed internet access, enjoy the privacy of a terrace or be entertained with Sky TV and movies on the LCD TV. For enhanced comfort, upgrade to a suite featuring separate living and sleeping areas. For families, groups and those staying a little longer, there are one and three-bedroom apartments, with a fully-equipped kitchen and laundry facilities. House Rules Hilton Lake Taupo takes special requests – add in the next step! All older children or adults are charged NZD 60 per person per night when using existing beds. Hilton Lake Taupo accepts these cards and reserves the right to temporarily hold an amount prior to arrival. Please note that the restaurant may be closed for a special event on certain dates between August and December. For restaurant opening times or to book a table please contact the property using the contact details found on the booking confirmation. Please note that late check out or early check in may be available for an additional charge. Check in prior to 7:00 will be charged at the rate of 1 night's accommodations. Check in between 8:00 and 13:00 will be charged at 30% of the nightly rate. Check in between 12:00 and 15:00 is subject to availability. Please contact the property in advance to request early check-in or late check-out, using the contact details found on the booking confirmation. Great facilities, love the spa pool. The balcony was not clean..and there are lots of spider's thread. Restaurant was excellent, the staff were very professional and friendly. The room was comfortable and we really enjoyed the pool, spa and sauna facilities. Breakfast too expensive for what they offered. It was slow to heat the room but eventually we got there. The room temperature was set at 19 degrees. We prefer about 23 plus. It took about an hour to raise the temperature to a comfortable level. But to be fair it was a very cold day. The staff need improvement. We asked to upgrade our room but we were told they didn’t have any available. We checked online and saw there were in fact rooms available and had to call and ask again to find there were multiple room upgrades we could choose from. It was a muck around and it really changed the mood of our trip. 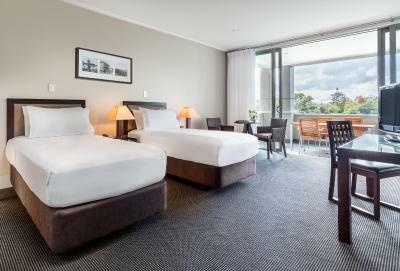 We have stayed at the Hilton in Auckland and Queenstown before but didn't think this Hilton was up to the same level, yet it was still expensive 340+ pn and 370+ pn for the weekend. We had ants in our room for the first few days of our trip, and then we had dead ones on the floor every day after that because of the poison, not that great with a toddler, they were cleaned up each morning though by the housekeeper. We thought we may have been offered a room swap or discount on the rate but we weren't. We had to throw food away because the ants were right through-out the pantry. There were garden worms in the kids pool, and the pool heating seemed to get colder every day after the weekend, yet the spa was at least 48 degrees. The apartment outdoor balcony, fencing and surrounding dividers look like they haven't been cleaned in a long time. There is limited tv shows and only one movie channel that was not always okay for families. If you don't have a car, getting around from here would be hard. There is a petrol station at the end of the road for some essentials. The Room Service meals are limited, however, the food is tasty and they did accommodate make-up meals for our toddler, so thank you. Good coffee too! The views are really beautiful! The bed is super comfy and you can watch the sun set from bed the whole time! The staff are really nice and accommodated an early check-in and early room housekeeping due to having a little one sleep in the arvo - thank you! The housekeepers/room attendants were lovely and friendly too and they do an excellent job! The one-bed apartment is very spacious and comfortable. Inside the apartment is kept very very clean, (except for ants) it is just the outside deck and building area that is poor.